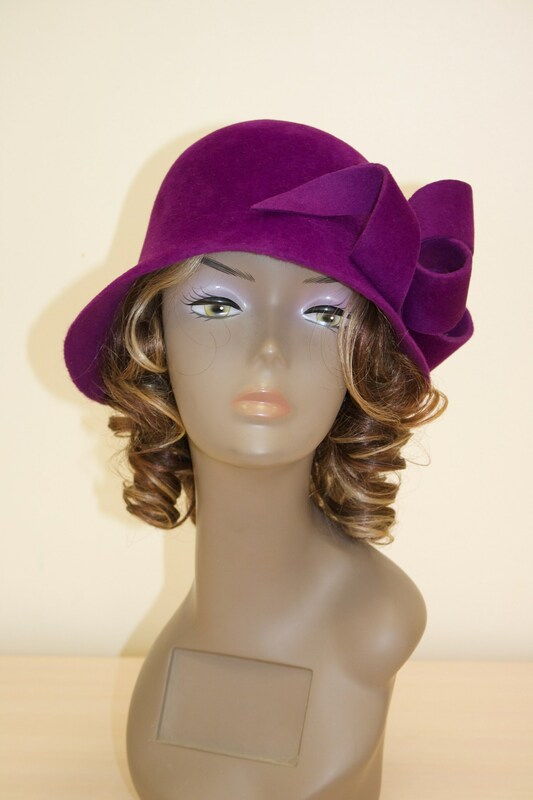 Violet/Purple colour velour felt/fur felt hat hand-blocked cloche. Trimmed with oversized swirl on the side. 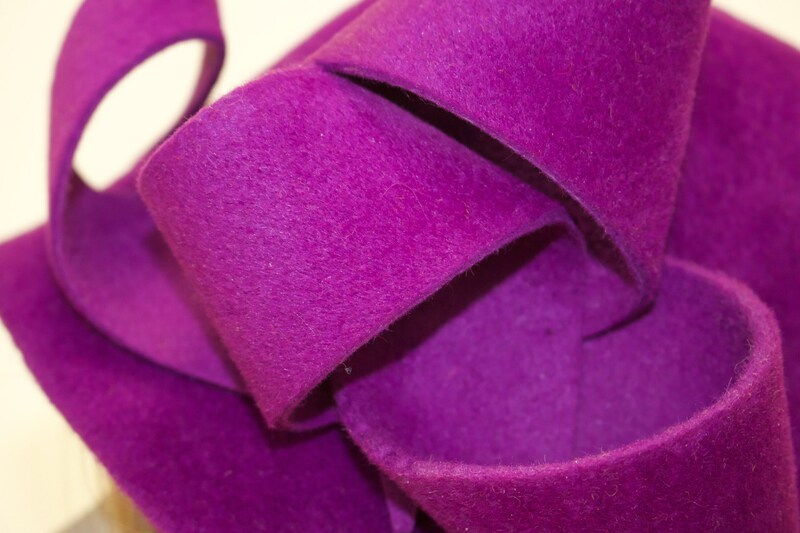 If you are wonder what is the difference between wool felt and furfelt I'll try to explain you. 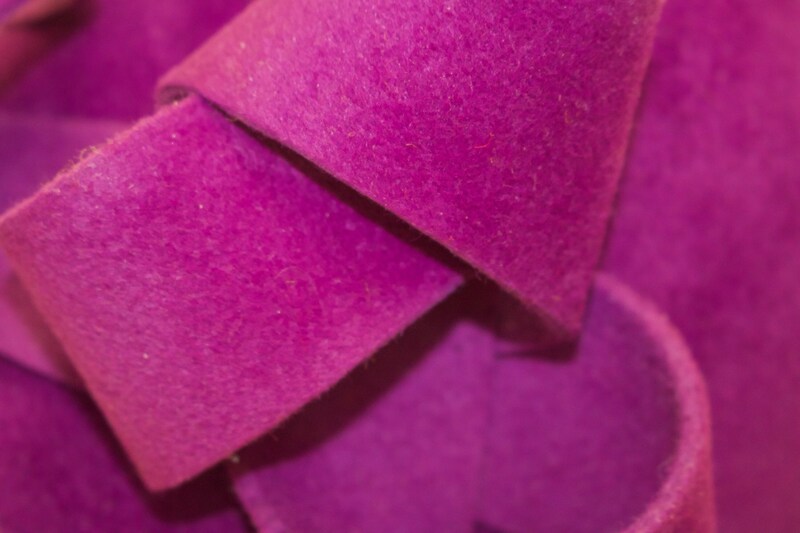 Wool felt is pressed from 100% wool that made hat hard and itchy. 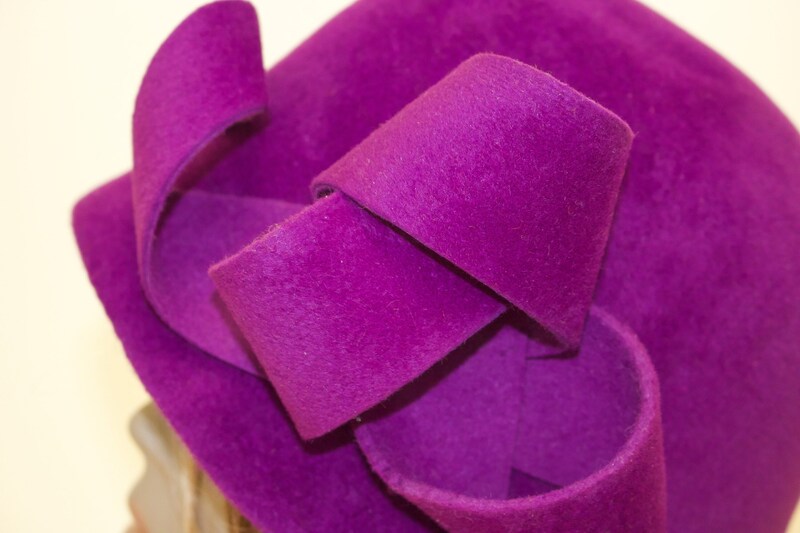 Furfelt is made of 100% rabbit fur, so soft on touch and gives your headdress very luxury look and feel. Since furfelt takes more effort to produce raw material (cone) - it comes out more expensive then wool felt to make a hat. 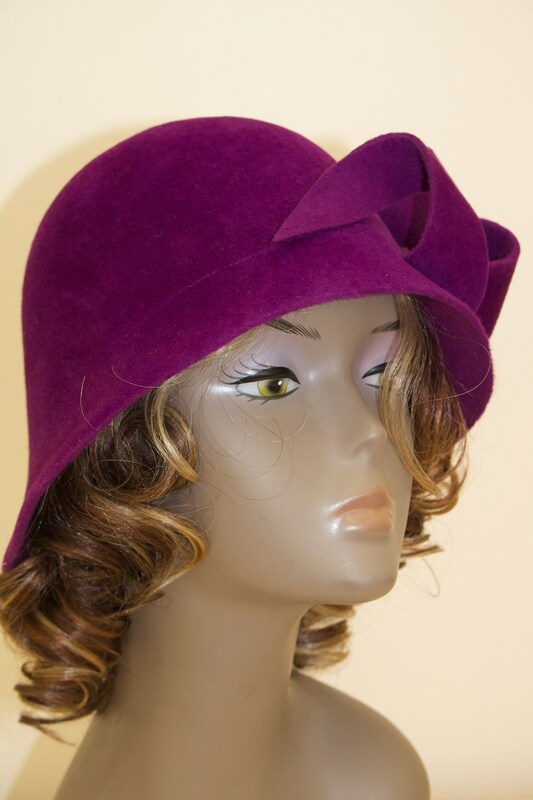 This classic cloche is the hat that you can wear everyday as well as to church, celebration, other occassion and simple to everyday use. Inside hat petersham ribbon attached and it will keep hat from streching out. 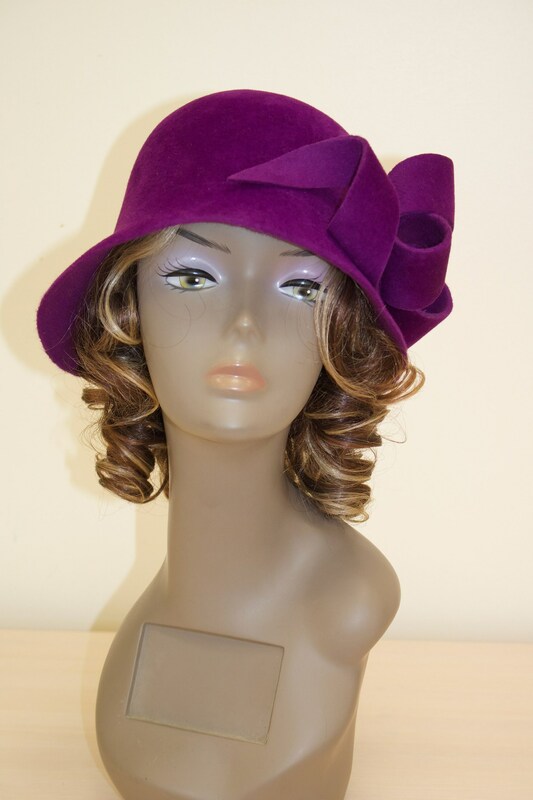 Hat has been also stiffened inside to keep round shape on the top. 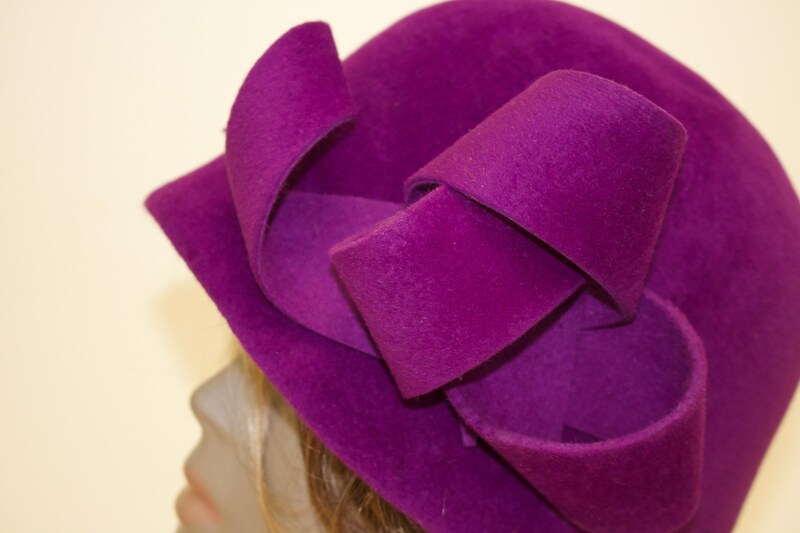 This hat is made to fit size 56-57 cm in circumstance but if you need it be smaller please let me know and I will adjust it accordingly. It could be also made one size bigger. So, please use the following Youtube link to see how to measure your head size. Please do it at least three time with the hair style you use everyday as it could change your headsize. 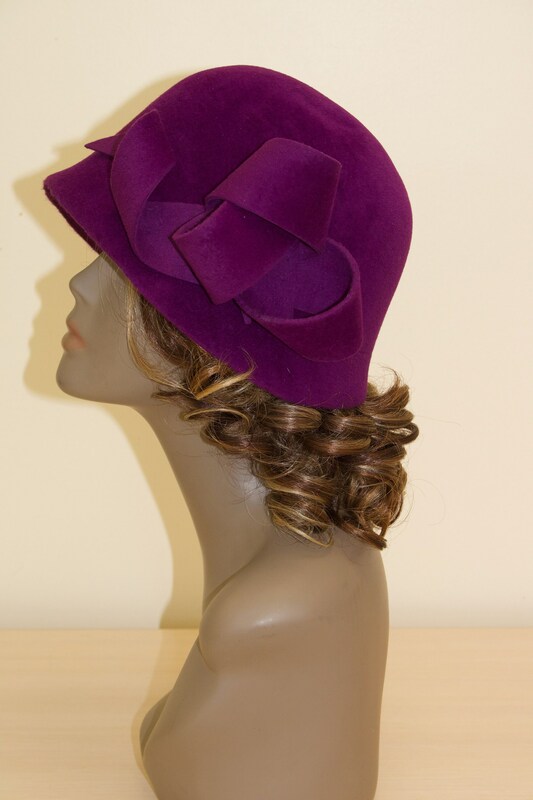 Hat is made to order so please allow at least up to two weeks for it to be made. Similar style can be made also in other colours. Please contact and let me know what colour are you looking for. I will send you a furfelt colour card.